Our Saturday STEAMing into Storytime program encourages a love of reading and enables social interaction with other children. 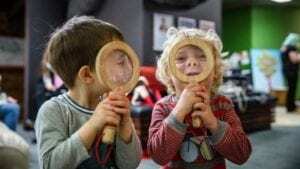 Including STEAM activities children use their critical thinking and problem solving skills along with their imagination and creativity Come and enjoy the stories, songs, and hands-on STEAM activities Sessions are suitable for children from 2 - 7 years old. No bookings required. For further information call 9400 4751. Learn new rhymes, songs and stories from around the world. Spend time with your child in a relaxing, enjoyable way. 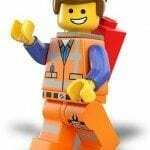 Develop your child's pre-literacy and social skills in a fun environment. For babies 0 - 18 months and their parents. These Saturday Baby Rhyme Time Sessions will run fortnightly at Duncraig Library, and are ideal for families who can't make the weekday sessions. No registration is required. For further information contact the City on 9400 4751. Aimed at children aged 2 – 5, Story Time sessions include stories, songs and craft activities. These sessions promote a love of reading and reinforce many of the developmental skills they will use when starting school. 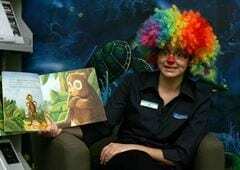 Spectacular Sundays at Mandurah Library! Come and enjoy a story time followed by a craft, sensory or STEAM activity each week! Storytime is held in the library to introduce toddlers and pre-schoolers to the joys of reading. Storytime sessions might include rhymes, pre-reading activities and sesnory-based activities. When: Wednesday 9.30am - 10.15am during school terms It's noisy. It's fun. It's free! 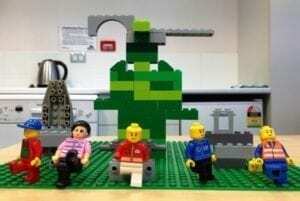 Help your child develop their imagination through play. This program offers families with young children opportunities to socialise and learn together. This program runs during school terms for children aged one to five years old. 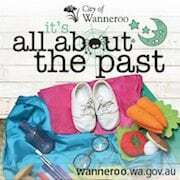 Every Monday during school term 10:00am - 11:00am Come and learn all about Wanneroo's history! This exciting program is designed for children aged 2-5 years old and their accompanying grown up. You will learn all about our past through songs, stories, crafts and by exploring our museum. No booking is required, but please come early as space is limited!